PristineHydro™ wins by a landslide capturing all the votes with 3rd party laboratory confirming, and recently seen on the DiscoveryChannel. PristineHydro™ has never been in a better position than now to broadcast that much of the water we drink is toxic through out the U.S. Ground water is becoming increasingly dangerous, with now encompassing lead in many areas. The world has struggled endlessly to be progressive creating the ultimate drinking water. Pristine Water Filters is creating the way by offering the only water purification systems (http://www.pristinewaterfilters.com/) on the planet. 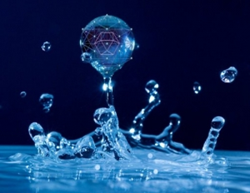 They have utilized unprecedented researched knowledge to solve the serious problems with drinking water, the existence of which most people are completely unaware and mindful of. Water treatment facilities use chlorine as a disinfectant. It effectively kills microorganisms, but also has toxic effects on the human body. An increasing number of pharmaceutical drugs are finding their way into our drinking water. Drugs ranging from antibiotics and birth control pills to painkillers, antidepressants and other psychiatric medications are now showing up in most municipal water supplies. There are many more contaminants found in the water that is being consumed. Learn more about PristineHydro's™ 10 Stage Process Water Revival System and begin removing these harmful contaminants from your drinking water.